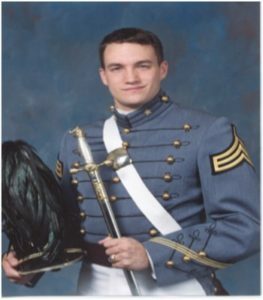 This scholarship has been established in honor of Army Second Lieutenant Leonard M. Cowherd, III, who died May 16, 2004 in Karbala, Iraq, while in the service of his country. Cowherd was a 1999 graduate of Wakefield Country Day School and a 2003 graduate of The United States Military Academy at West Point. He was a young leader who, as a high school student, exemplified the attributes of commitment, hard work, ethics, and academic achievement and went on to serve his country with distinction and valor. Leonard was a first honors student who, among other things, played lacrosse, soccer, cross-country, and basketball, appeared in the annual school plays, was Vice President of the Student Government in his senior year, Class Salutatorian, and a member of the Junior Classical League. The intent of this scholarship is to identify someone who exemplifies the character traits exhibited by Leonard Cowherd, and also to help others learn about him and honor his memory. One ninth grade student every four years is eligible to be a recipient of the Cowherd scholarship. Should additional funding be available, more students may be able to receive the award. SCHOLARSHIP: A maximum of 4 years tuition, renewable upon review at the end of the academic year. This scholarship excludes annual book and activity fees, bus fees and uniform fees. RECIPIENT: As a recipient of this award, a student must maintain a B average throughout the academic year and also perform a minimum of 20 hours community service.